Looking for a new way to advertise your business locally? You might want to consider investing in car wraps or truck wraps for your company’s fleet. They are a very efficient way to build brand awareness in your community without going too over-the-top. While virtually any business can benefit from using a car wrap, there are specific industries where local awareness like this is very valuable. Here are some of the businesses that can benefit the most from car wraps. Local home and garden services are always driving around town to visit clients, so their cars are the perfect place for them to advertise. This includes services like electricians, plumbers, carpenters, pest control, landscaping, and more. The best part about car advertising for these brands is that it indicates to other drivers that you are well respected and successful. When they see your cars out around town, they will assume you have several clients. As a caterer, your van is a very important part of your business. Why not use it to make you money? Having ads for your food, regardless of what it is, will be very appealing and memorable to people stuck in traffic. You can appeal to other drivers’ taste buds with mouthwatering pictures of your best dishes. Maids are another group of service providers that frequently drive around town. Charming ads on the side of your car are a great way to make your brand memorable to other people who might need their homes tidied up. There are other similar jobs that could benefit from this as well, like day care and dog walking. When it comes to taking care of your home and family, people want someone who feels familiar and approachable, and a vehicle wrap is a great way to do that. 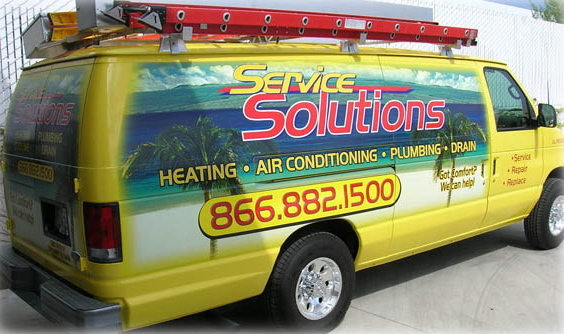 Carwraps.com offers all types of vehicle wraps in the Los Angeles area. These are a few of the businesses that could benefit most from a car wrap, but they are a great way to spread the word about any company. Contact us today to learn more about our full and partial car wrap options.